The Oculus Rift VR headset it just months away from being release to the general public. While this virtual reality headset has been making waves for the past few years, it will soon be in consumers hands. We previously mentioned that the Oculus Rift is going to start selling for a somewhat high price point of $599.00 plus tax and shipping and should reach consumers in March of this year. If you want to get your hands on an Oculus Rift, but do not want to spend over $600.00, join our free Oculus Rift giveaway and you could win one from us! We have done some research on the top 10 questions people have about the Oculus Rift and wanted to provide some quick information for our visitors. 1. How does the Oculus Rift VR Headset Work? Magic…but in all seriousness, the headset is very high tech. After plugging in the Oculus Rift to your computer via a USB and HDMI cables, the headset will be functional. Each eye has its own OLED display very close to your face. While the display is very near your eyes, the Oculus Rift refocuses the light emitted to make it appear as if the images are coming from a distance. This relieves potential eye strain and tiredness. The display lenses also magnify the screen so that it will cover more of your field of vision. 2. How can it tell where you are? The Oculus Rift comes with a microphone like pole that will need to be near your Oculus Rift setup. Most people will just place it near their computer desk. 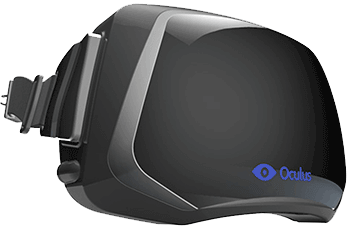 This device will communicate with the Oculus Rift using the Constellation Tracking System, or a series of LEDs emitted from the headset. The LEDs are all around the Oculus Rift VR headset so that you can rotate your head a full 360 degrees without the system losing track of your position. 3. Is this the future of movies? We’ve gone from regular movies, to 3D, and now even 4D movies where your seats are synced up with the action of the movie. Is the next evolution of film going to revolve around virtual reality and 360 degree viewing? The Oculus Rift is an open source platform with no limitations or restrictions by the company who created it. The Oculus Rift will have a marketplace where game developers and video content providers plan to release content for the new virtual reality headset. You can bet that you will find a variety of VR movies ranging from cartoons, to full live action video, and even adult content. 4. Are there other accessories? While the Oculus Rift is a great step forward into the world of virtual reality, people don’t want to have to still use a game pad or keyboard to control things. The Oculus team is well aware of this and are also releasing the Oculus Touch. The Oculus Touch is a pair of small round joysticks that will wrap around your hands and contain several buttons. The movement of these joysticks are also tracked using a camera. The Oculus Touch will allow you to pick up objects by tracking your fingers. Not only can you pick things up, but you can also rotate items and work with whatever item you might have in your hands. At this point in time, there is not a lot know about when consumers can expect the Oculus Touch, nor do we have any pricing. 5. 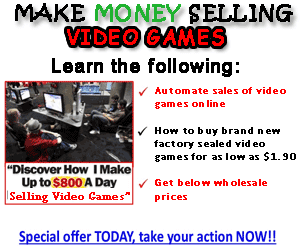 What about Oculus Rift Competitors? The Oculus Rift is not the only VR headset coming into play. 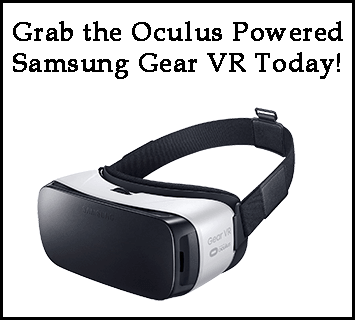 Samsung released the Gear VR for various Samsung devices running the Android OS in late 2015. 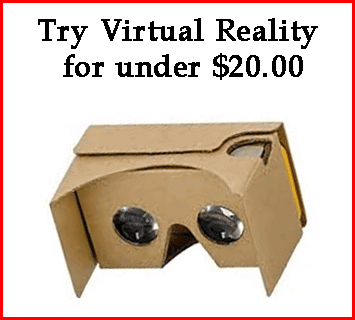 The Samsung Gear VR is relatively inexpensive retailing for around $100.00 a unit. This device is fairly limited though as it will only function with a handful of Samsung devices. The Gear VR was actually designed by Samsung and Oculus VR. HTC is also working on a VR headset known as the Vive. The HTC Vive is still not available to order; however pre-sales are scheduled to begin in late February according to the HTC CEO. The HTC Vive is unique compared to the Oculus Rift as the Vive will allow you to be free roaming. You are not limited to being confined to a small space like with the Oculus Rift. The HTC Vive has a small camera known as Chaperone, which is designed to prevent people from walking into walls. The Vive will provide you with a thermal view of what is around you whenever you need it. The Vive’s camera can help create entirely closed virtual worlds based on your surroundings. Sony is also working on a VR headset for its PlayStation gaming consoles. The PlayStation VR is going to work with the PlayStation 4 and is supposed to integrate with PlayStation Move controllers. Based on early opinions, the PlayStation VR is not going to be nearly as good as either the Oculus Rift or HTC Vive. The PlayStation VR uses lower resolution screens and is using a lower powered video processor in the PlayStation versus what a gaming computer would most likely have powering the graphics. Also the PlayStation Move controllers are dated technology going back to the previous PlayStation 3 console. Pricing for the PlayStation VR is still not yet known; neither is the release date. Time will tell if the PlayStation VR can compete with the Oculus Rift. We are excited and anxiously awaiting the release of the Oculus Rift. As avid gamers and technology enthusiasts we have our gaming rigs all decked out. While we have ordered one just for our free Oculus Rift giveaway, individually, we have also orders units for ourselves to play around with. Based on the competition, we still firmly believe the Oculus Rift is going to be the top of the line VR headset until new alternate reality units such as the Halolens become the new gaming standard. Be sure to check out our giveaway if you want to enter to win a free Oculus Rift VR headset. 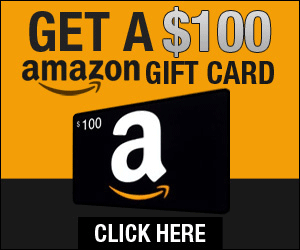 It is super easy to enter and requires just a few clicks to earn points and become our winner!